(Cranfield, United Kingdom. 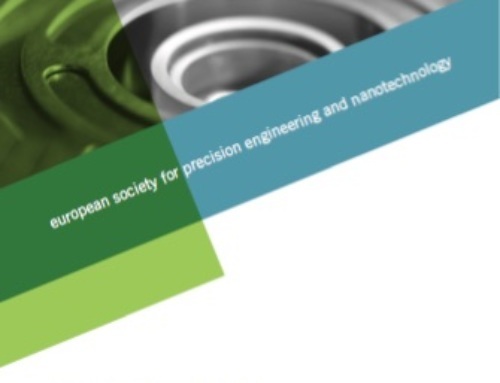 October 2018) euspen (the European Society for Precision Engineering and Nanotechnology), is proud to announce that its next annual event will be held in Bilbao, Spain 3-7 June 2019. This will be the 19th Annual Event, and builds upon the enormous success of the 2018 event that was hosted in Venice. The euspen Annual Conference and Exhibition is unique in the precision engineering calendar, as it has become the number one networking event in the burgeoning area of manufacturing where micron and sub-micron levels tolerances and levels of accuracy are an every day requirement. It draws together commercial manufacturers, researchers, and academics from across the world, all working at the bleeding edge of what is possible in precision engineering today. There is — and will continue to be — a pan-industrial, global demand for miniaturized products and components, or larger products with ever more exacting miniature features. Increasingly, we exist in a world where microns might matter, but nanometer tolerances and accuracy are increasingly required. Technology suppliers are constantly pushed by the ever more exacting demands from their customers, who not only want to attain extreme accuracy, but want it delivered in a timely and cost-effective way. The euspen annual event is where luminaries from the precision engineering community meet to discuss technological developments that fulfil these industry demands and requirements, meet existing suppliers of technology solutions in the exhibition, and learn in the conference and on-site poster sessions about where work is being undertaken to constantly push the envelope of what is possible in the micro and nano manufacturing arena. “The reason that we are hosting our 19th Annual Event and that it grows year on year is because we draw together such a quality community of experts and high calibre players in the precision engineering space. We provide an array of unique on-site opportunities for attendees to network and learn, from the world-renowned and high-value conference, the on-site exhibition, poster sessions, and the now famous networking dinner”, explains Executive Director, David Billington. In Venice in 2018, the conference and exhibition attracted over 400 attendees from 22 countries. There were also 40 exhibitors, and 37 oral paper presentations and 3 keynote addresses in the conference. Also included at all euspen annual events — to embrace all levels of association with the sector — are workshops and tutorials (that either act as refreshers or get delegates up to speed with fundamental aspects of precision engineering), and a series of facility visits to key institutions working in the space close to the venue. To find out more about the event please visit www.euspen.eu, or contact Dishi Phillips Business Development Manager at euspen on t. +44 (0)1234 754023 e. dishi-phillips@euspen.eu.